Ali is a 2001 American biographical sports drama film written, produced and directed by Michael Mann. 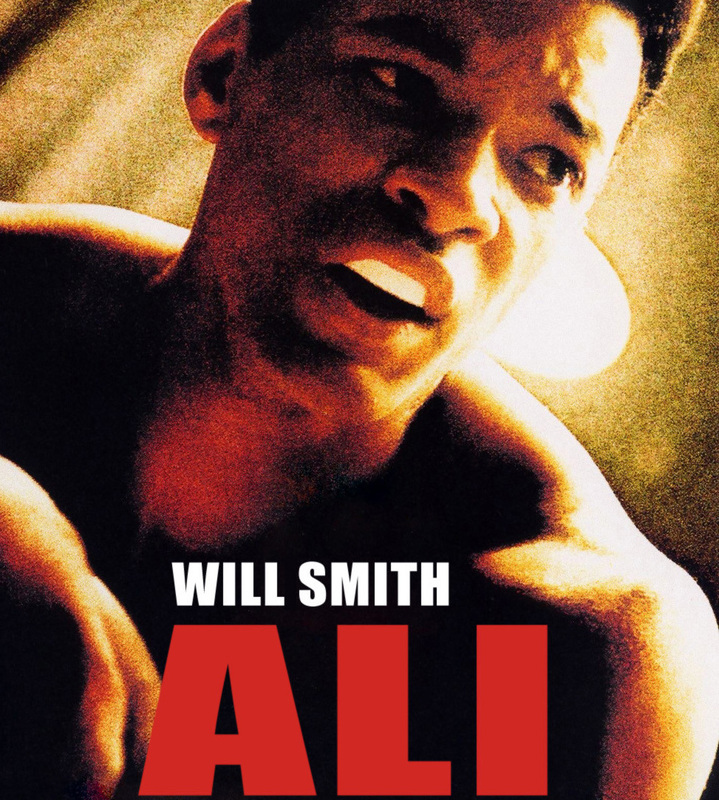 The film focuses on ten years in the life of the late boxer Muhammad Ali, played by Will Smith, from 1964–74, featuring his capture of the heavyweight title from Sonny Liston, his conversion to Islam, criticism of the Vietnam War, and banishment from boxing, his return to fight Joe Frazier in 1971, and, finally, his reclaiming the title from George Foreman in the Rumble in the Jungle fight of 1974. It also touches on the great social and political upheaval in the United States following the assassinations of Malcolm X and Martin Luther King, Jr. The film was well-received from critics, but was a failure at the box office. Smith and Jon Voight received Academy Award nominations for Best Actor and Best Supporting Actor, respectively.